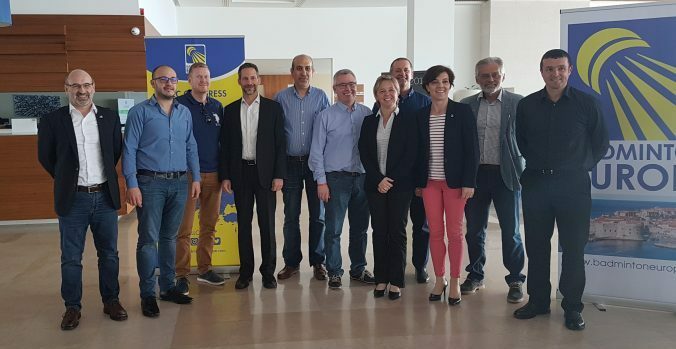 Last week, during the Badminton Europe Annual Delegates meeting weekend, eight countries: Cyprus, Gibraltar, Greenland, Iceland, Liechtenstein, Luxembourg, Monaco and Malta were represented during the first official meeting between the Small States of Europe to discuss the start of the Small States of Europe Badminton Games starting 2020. It was agreed and decided on principle that the first games will be organised in Cyprus in 2020 and will continue being organised in even years. The atmosphere between all the involved countries is very positive and everyone is looking forward for this idea to materialise and start enjoying competing in these games. Being a number of small nations automatically brings numerous challenges but everyone is optimistic that the necessary solutions will be found to make these games successful. Badminton Malta would like to congratulate all countries for this great step and looks forward for the first games.